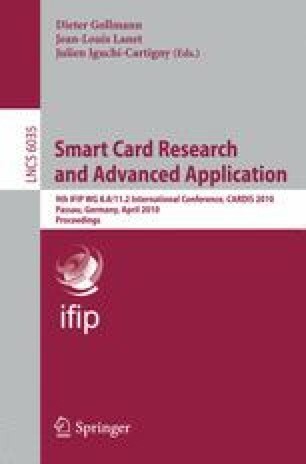 This paper describes an elementary protocol to prove possession of anonymous credentials together with its implementation on smart cards. The protocol uses self-blindable attribute certificates represented as points on an elliptic curve (which are stored on the card). These certificates are verified on the reader-side via a bilinear pairing. Java Card smart cards offer only very limited access to the cryptographic coprocessor. It thus requires some ingenuity to get the protocol running with reasonable speed. We realise protocol runs with on-card computation times in the order of 1.5 seconds. It should be possible to further reduce this time with extended access to the cryptographic coprocessor.